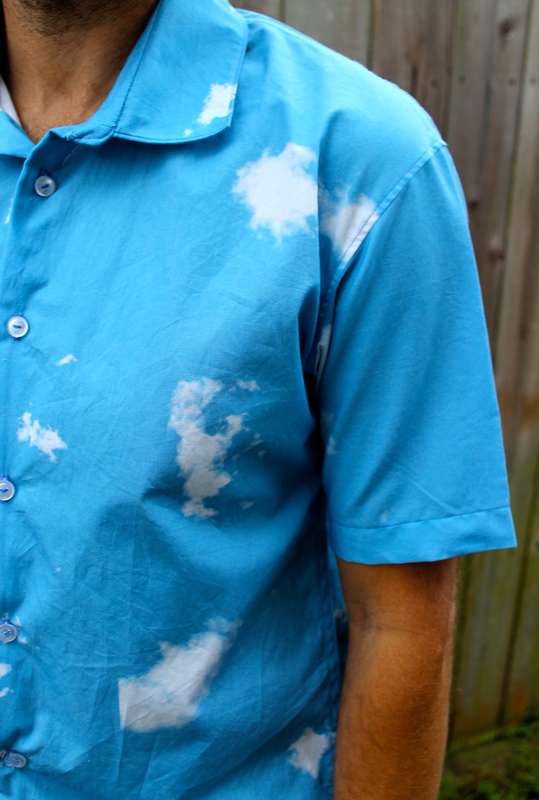 This week guest author Emma Jeffery from the blog Hello Beautiful visits to show us how she used cloud photos to create a one of a kind shirt for her outdoorsy, science-loving husband. I enjoy making things for my loved ones, but I often feel underwhelmed by the sewing potential for making things for my husband. To be frank, he’s one of those people who doesn’t even need much; give him a bike, some tunes he likes and a decent pair of flip flops, and he’s pretty satisfied with life. But that doesn’t mean he should be able to sneak, undetected, beneath my sewing radar. It just means I have to think more creatively when it comes to ideas for making things I know he’ll love. He’s an outdoors type of man who likes stargazing, weather reports and well….science. Whilst it may be a little lost on me, I was happy to spend a sunny afternoon during a recent vacation, taking photos of passing clouds, to make into a one-of-a-kind fabric design that I sewed up into a shirt for him. This week guest author Emma Jeffery from the blog Hello Beautiful is back to share a tutorial for creating personalized placemats. 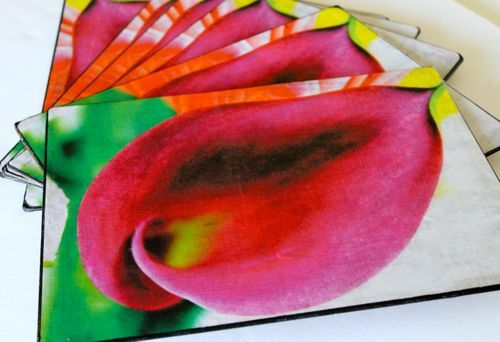 We had an old set of placemats that were tatty, faded, peeling and well used but I couldn’t bear to part with them since they were a wedding gift almost 10 years ago. Happily, our marriage has fared much better over the last decade than the mats, but still, I knew there was a way to bring the old placemats back to life, restore their former beauty and weave them back into the memory of our very special wedding day. 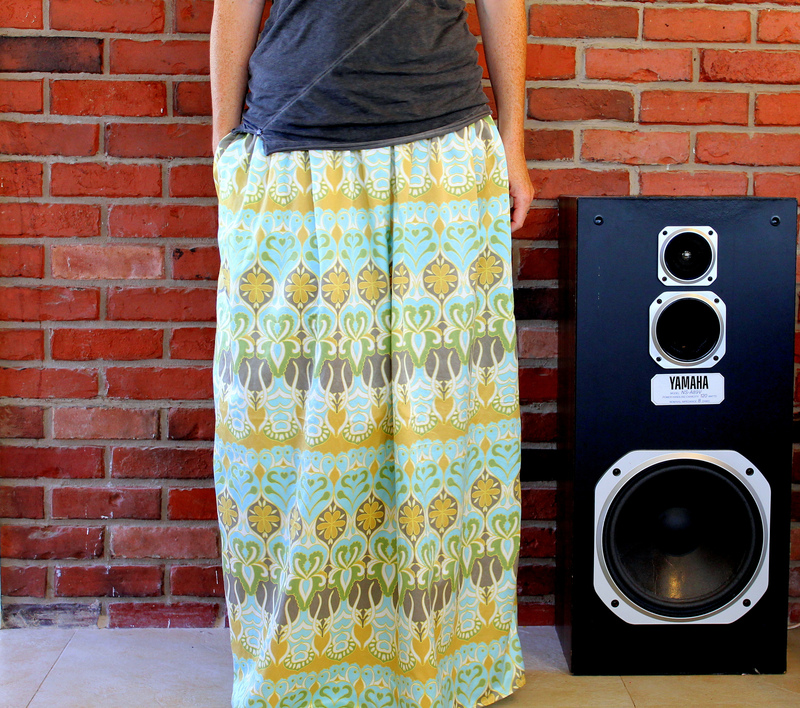 Guest author Emma Jeffery from the blog Hello Beautiful offers a tutorial for an easy summer maxi skirt.